As we raced up murder hill on the last day 96 of our epic journey we were greeted by our loyal followers and friends of the Lorax Woodlands. It's good to be home. Despite all the reflection the night before, we awoke just like any other morning. It's amazing how you can get into a routine and despite the fact that we all knew it was going to end that afternoon, it didn't really feel any different. Packing up the tents and sleeping bags one last time was just the same as on day 54 (though they need to be aired out a little more urgently now!) and without much fuss, we were on the road again. Despite having driven this road many, many times, on the bike the were still some surprises. In some ways it almost seemed shorter than I expected, wand though there were certainly hills, it wasn't as steep as I'd feared. An hour of easy riding brought us in to New Ross. In an enormous universe filled with so many random events, things are bound to happen, but still, what happened next seems like a bit more than just chance. I've seen a lot of country on this trip, been to a lot of places - some great, some not - but this finally proved that New Ross just doesn't like me. I don't know what I ever did to it, but I certainly will never forget what it's done to me. For the first 16 years of my life we got along fine, mostly ignoring each other. Then one fateful night, driving home with my father from a party in Bridgewater, a guy blew through the stop sign in New Ross and with a tremendous crash our cars crumpled together, front corner to front corner. The cars were totaled, but luckily we were all OK (though going from asleep in the front seat to Screech-BANG! to sitting trembling in a crumpled car was quite a shock). My legs wouldn't hold me for at least 30min, and to this day I always watch that intersection carefully, so my association with New Ross hasn't been so pleasant. I tried to look on the bright side, told myself that I'd had my one big accident and so I shouldn't ever have to deal with it again, but I was only partly right. As I pedaled up the steep hill to the fateful intersection, flashing light visible just as it was all those years ago, I downshifted, heard a bang, my bike suddenly stopped and then I gracelessly tipped over in the middle of the hill. I'd evidently gotten somewhat used to falling while clipped in because I landed quite well with only a minor scrape, but when I looked around to figure out what had happened, I quickly saw that my bike, my trusty steed who'd carried me 5600km hadn't fared so well. 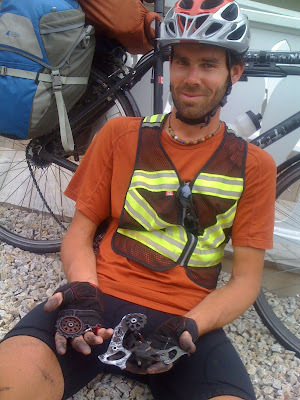 By the time the rest of the team caught up, I'd extracted the broken derailleur and determined that there wasn't any other damage (thankfully the wheel/spokes survived, unlike Spencer's experience back around White River, ON when his derailleur got sucked into his rear wheel while doing 50km/hr down a hill, breaking half the spokes and he ended up skidding it out done the mountain!) 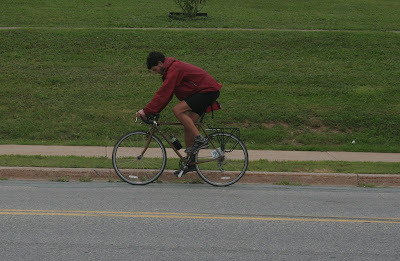 However, the fact remained that my bike wasn't going to be pedaled anywhere until it had a good session at a bike shop. 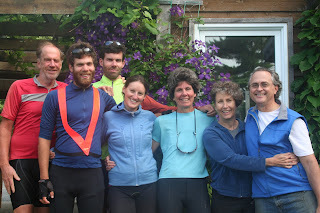 We'd been doing so well - 95 days and a combined 36,000km pedaled (almost equivalent to riding around the planet - 40,000km) without any dire bike problems, without ever having to stick out our thumb or call for help, but there we were, stuck 45km from the final destination. Te only good side to it was that unlike most of the rest of the country, back here in NS, our home turf, we had lots of support we could use. So within a few minutes, a rescue mission was organized. Justin would drive out from Lorax with his bike, and take mine back, letting me finish the journey on his. Although the ending of the trip was turning out to be pretty anti-climatic, it would have been rather disappointing to not be able to have us all ride in to Lorax together, so big huge thanks to Justin! And Carla wasn't about to pass up the chance to see/rescue her sister after so long, so she came along too, but also brought her bike and escorted us back. And like everything else on our trip, a pretty big problem was quickly sorted out and in the end it was even better than before. However, Justin is a little smaller than me and his bike has drop bars, so it took a little getting used to before I felt comfortable riding it. 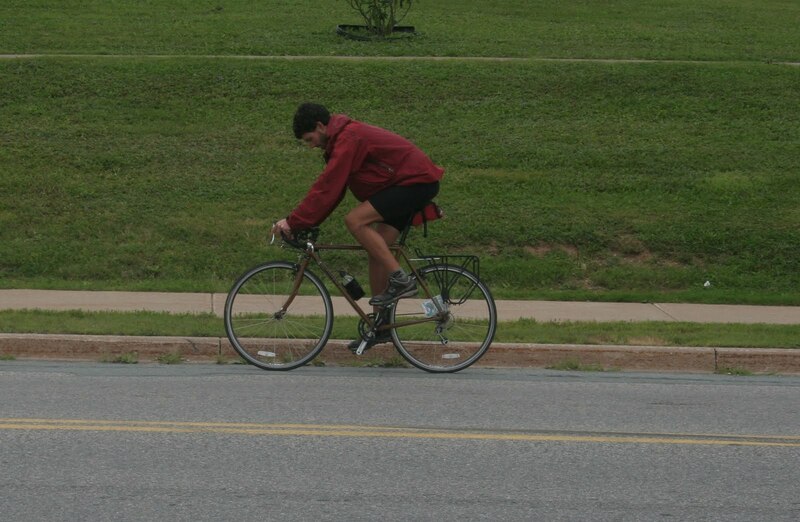 And he also hadn't gotten around to fitting a granny-gear on the bike. Any other day I wouldn't have thought much of it, I rarely use my granny even fully loaded, but not today, not with "Murder Hill" (Deep Hollow Rd where it climbs up the South Mountain - as named by the first Otesha tour to climb it) on our path. So I dumped all my gear in the car with my bike, and crossed my fingers I'd make it up in middle gear. Two hours after the breakdown (including a second breakfast at Vittles Cafe - judged a strong contender in the quest for the best fried potatoes/hash browns), we were back on the bikes, riding home. After 7600km, 40 didn't seem so big anymore and the time flew by. Familiar landmarks came and went with increasing frequency, but in many ways it didn't seem any different, we were all together riding our bikes, just like any other day. And then before we knew it, we were there, poised at the White Rock intersection with only a short gentle glide between us and Murder Hill. Our hill climbing muscles were out of practice with all the flat terrain since Ottawa, but we'd all ridden (and beaten) this beast before so we knew we could make it up. So on came the tunes and with a big whoop we tore off and started the ascent. I started to feel the burn in my legs rounding the curve (maybe 15% of the way up) but with adrenaline and determination I kept on pushing. Slowly but surely we climbed, rotation by rotation, breath by breath. It wasn't easy - even in this shape, but neither was it the eternity of struggle we had feared. And eventually, one by one, we each gave a victory cry and rolled to a stop at the top, legs trembling, muscles burning, lungs gasping, and faces grinning. I'd say it was the hardest hill I climbed on the trip (with an honorable mention to the devil just before Denbigh, ON) but it hadn't been so bad, and it was done. 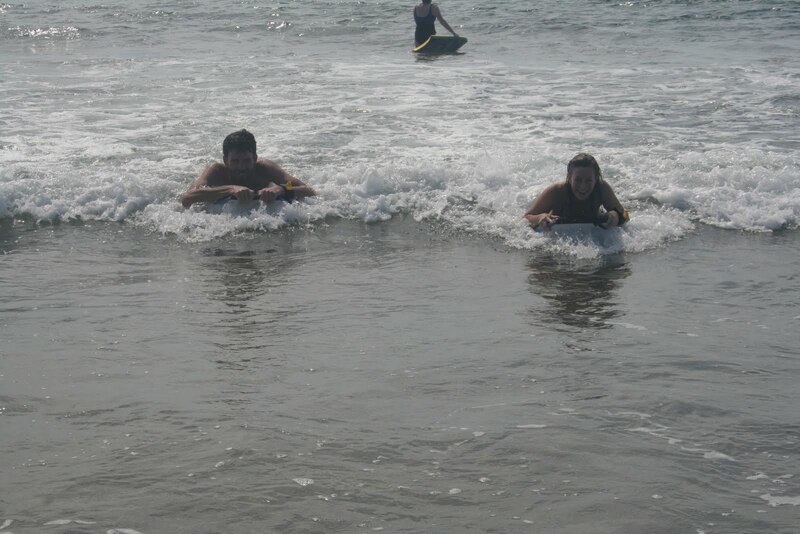 Once we'd caught our breath we pushed on, slowly chugging towards our final destination. Trying to figure out what it was going to be like to stop. We put on some tunes to carry us home, theme songs for the trip in a way, and so rolled up to the driveway with everyone singing gently along to "The Bike Song" and "Long Way Home". It was so incredibly calm and peaceful, not what I had expected, but it felt right. It had been a long, long trip, but we were now home. And the welcome wagon was there to greet us! With homemade signs cheering us on down the last stretch and a checkered race flag hanging on the Lorax sign, all our friends at Lorax rushed out to greet us. It was pretty surreal - we'd just ridden across the continent but it was done, we'd all be shortly heading off on our own ways and the life we'd shared was closed - tomorrow would not be just another day on the bikes, and we were going to have to start interacting with the wider world in a serious way again. It's not bad, we all have exciting plans/adventures to continue with and we were (at least at times) starting to feel ready to something else, but it's one thing to think it, and another to actually make the change. The photos and videos will be wonderful to go back through, triggering thoughts and stories that will last a lifetime, but even now I realize that this experience can't be replicated, can't be relived or fully shared with others. There's something magical about a bike and open roads, it's not a series of events or a goal to accomplish, it is a process. Although the odometer won't click on any further, the experience doesn't end here, and for you, our loyal followers, neither does this story. Over the next week or two we are all going to find some time to reflect and write, and at least parts of these reflections should make their way here. So keep checking back, but also try to ween yourself from this tale - it's not going to last forever and we are certainly in the last stages. Most importantly though, thank you for your energy, your enthusiasm and support. Writing all this is a good exercise for ourselves, but it has so much more meaningful and seems so much more worth while when we know that the are other people out there following along too. So it is today, with mixed emotions that we leave the excitement of the last real stopping point on our trip and head towards a real staying point. We are really excited to see our amazing friends and family at Lorax but at the same time know that when we do, the warpotay team will split and the pressures of everyday life will return. Over the last 95 days we have formed a family bond that is hard to find in this day in age. We feel very lucky to have had this opportunity and will be sad to end the journey. 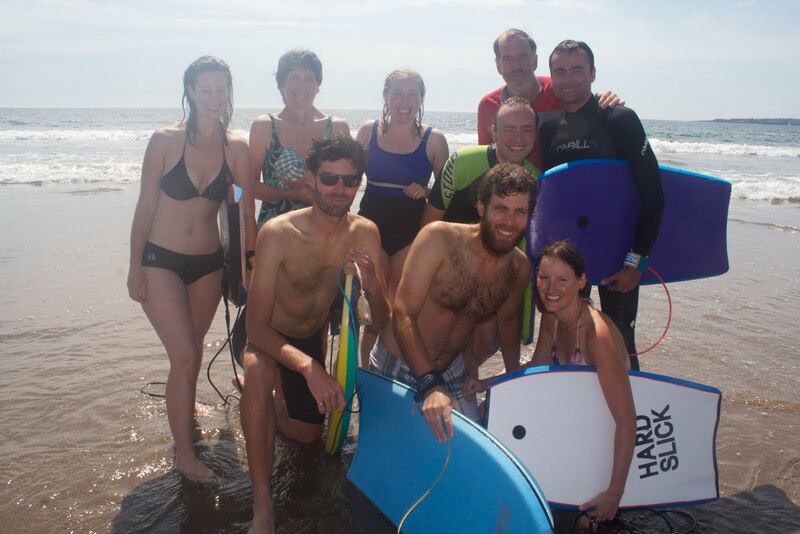 After a swim and boogyboard at one of the most beautiful beaches in Canada we began our journey home. 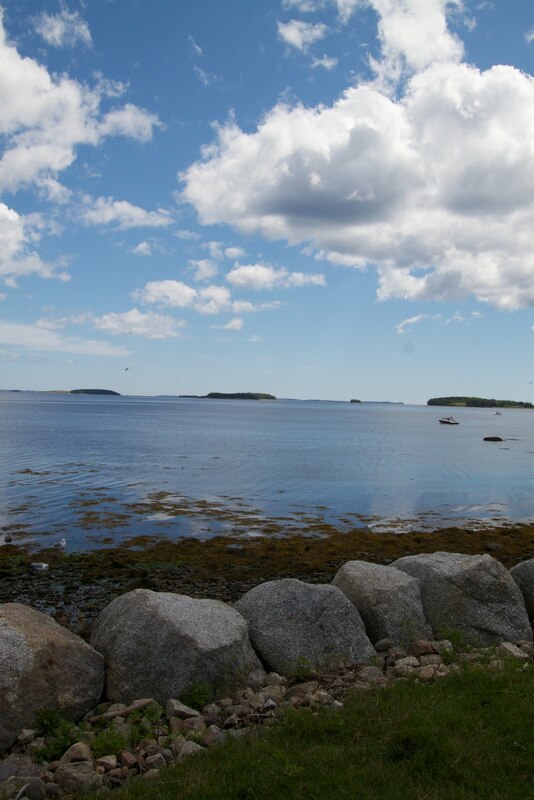 Retracing our steps from the day before through Lunenburg and Mahone I was struck by two solemn thoughts. Firstly, in our 3 months on the road this is perhaps the only time we have ever rode the same piece of pavement twice for any significant amount of time. Something about this speaks to me but I can't put it into words. 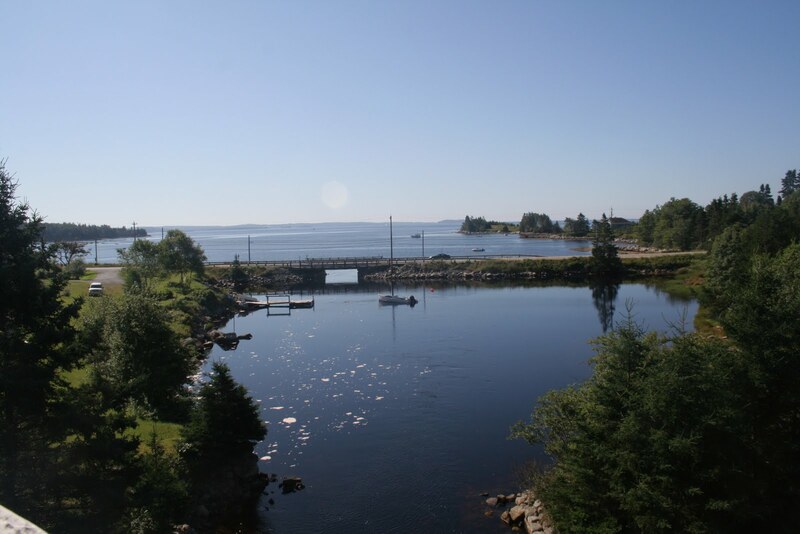 Secondly, the town near Oak Island which had been bustling yesterday in preparation for the parade was now silent. This reminded me that things have changed since we left. Home will not be the same. Mom and Papa are headed to New Zealand, Shane back to India and Leah and I to spend time with Carla and Justin on their farm. I for one am both excited and nervous about this thought. "Are they still in Moncton?" "No, I know they are not still in Moncton, but I don't know where they are." Yes we admit to a bit of skullduggery but the company of five was on a mission of subterfuge and plunder, going underground on Saturday, August 13 and morphing into marauding pirates. So as to hide our plot from the victims, it became important to disguise our progress on the blog lest they suspect we were up to pirate mischief. We apologize to our innocent followers who may have been confused by our erratic postings. 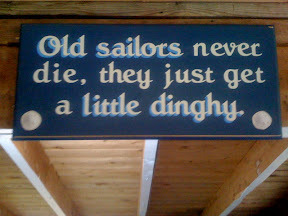 Why pirates? Why August 13? We will give you a very abridged bit of backstory to set the scene. Pirates need to eat well so we started the day with a magnificent breakfast with Susan and Bob in St. Margaret's Bay (we hope they do not get into trouble for providing tasty provisions to the pirates). Our path during the day was carefully crafted to stay off roads where we might be sighted by other party goers who would know us, or worst of all by Cate and Leon. 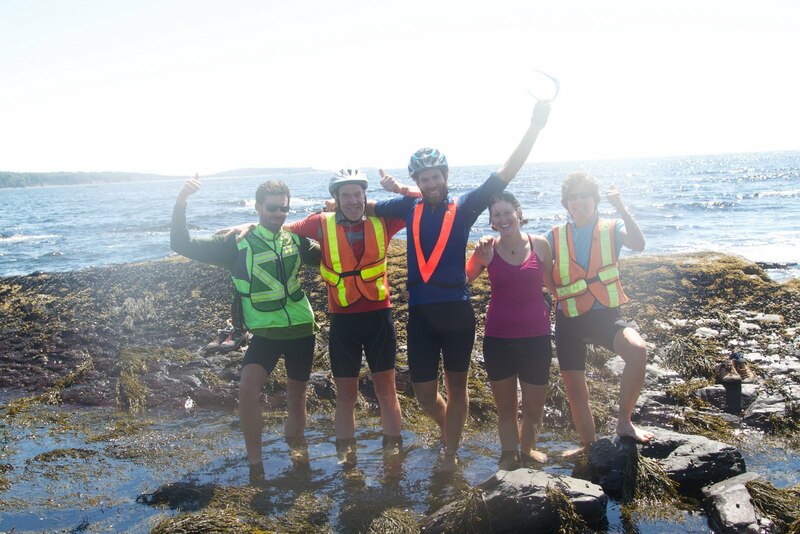 We did the first 35 km on a beautiful off road, bike path with magnificent views out over St. Margaret's Bay. We were safe from prying eyes. 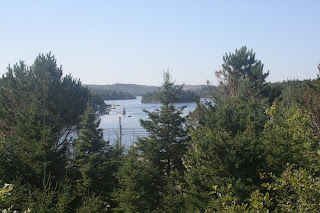 When the path started to deteriorate in quality we headed to the smaller, hilly, coastal road, crossing picturesque South Shore rivers and harbours. Sometimes the best cover involves being in the open while blending into the landscape, so we chose a lunch spot in a waterfront park in the community of Western Shore where large numbers of people were along the roadside waiting for a parade to start. Things were smooth until the very end of lunch, when disaster nearly struck. We could see the parade forming and tuning up, and knowing it was approaching 2 pm (a logical start time}, we figured we had 10 minutes to finish lunch and get out ahead of the parade or else we would be stuck behind it. Given it was a long parade, being stuck behind it could wreck our tight arrival schedule since we had 45 km left going into the wind to bike to Kingsburg. Things seemed fine as Ginny and Leah went to throw out the lunch garbage just prior taking off ahead of the parade. But the other three pirates waited and waited, watching from a distance as the pair belaboured over the garbage can and the bagpiper at the start of the parade started piping such that the parade start seemed imminent. More time passed... how long could it take to separate garbage, recycling and compost into their respective bins?... More time passed... Yet they remained despite more bagpipe notes and our now frantic calls... "Ginny, Leah, we have got to go!" The others got on our bikes and called one more time. Finally Ginny and Leah returned back to the bikes, leaving the garbage bins behind. What had been the problem?... Why did it take 10 minutes to separate the garbage? Finally Pirate Ginny fessed up during the afternoon ride. She had dropped her knife (a key weapon for a pirate) in the compost bin with the lunch compost. So Ginny and Leah were trying to unobtrusively (not so successful) fish out the compost as the heavier knife had fallen in deep. Phew, they finally retrieved the knife and we got out of Western Shore just barely before the start of the parade. We biked through the afternoon along beautiful inlets and waterways to Kingsburg, with a stop along the way in Lunenburg to improve our pirate costumes at Frenchies and to strengthen our bellies with ice cream. We arrived at our safe house just off the road before Kingsburg by 5:15 pm. Marc and Maureen were not there but said we could cook dinner and costume and arm ourselves at will for the invasion (Thank you M&M for supporting this pirate caper). 6:45 pm, all was set and it did not seem anyone had caught wind of us. 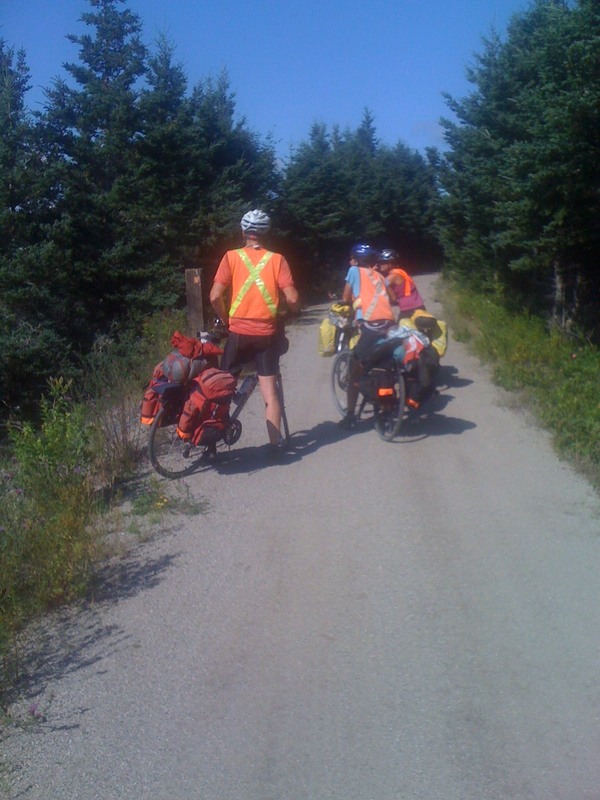 We slowly biked the last kilometre. We quietly rolled down the last hill behind the trees to see what would confront us... would everyone already be in the barn for the start of the dance lessons (not a good scenario for a pirate bike invasion)? Would they still be outside?... We peered out around the trees... Perfect, everyone was outside finishing dinner around the house... We instantly shifted into our fast downhill gears and attacked with a roar, flags flying and weapons glistening in the evening sun... Total surprise! We jumped off our bikes, threatened the party with plunder, and finally agreed to the alternative of partying if they would provide the beer and dance music (Thank you Cate and Leon!). Having executed our surprise elegantly, we had redeemed our image from the self-inflicted chaos of a year ago. Ahh friends. We left Sarah Marie and Steven in Porter's Lake, in quiet contemplation. Sarah Marie and Steven have been vicariously part of our trip since the very beginning, and have offered enormous support and friendship and good advice as they traveled with us in spirit. They would have joined us in person for the trip if Steven's health was ok. Steven's posts were particularly on the mark. Early on the trip he advised us that "it is important to be the willow rather than the oak" when times get tough. "Do not dwell too long on conspiracies - sometimes the fan just breaks." That is the post he made after our foolishly hot night in Montreal with a fan we thought was broken. 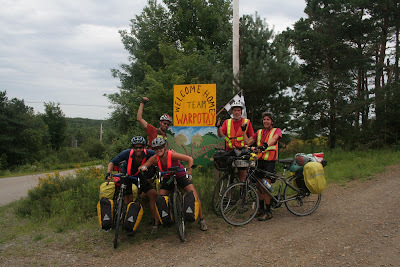 Seeing Steven and Sarah Marie at the end of our journey was an emotional time for us all. We gain so much from their friendship, and feel so privileged to spend time with them in person, in addition to the hours of vicarious time we were together this whole trip. We miss the regular posts now that we are back, because there is an enormous connection between us. They are in our thoughts constantly. 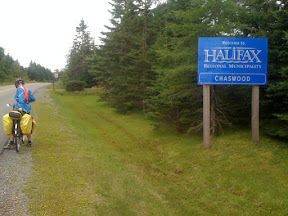 Riding through Dartmouth and into Halifax was lovely. 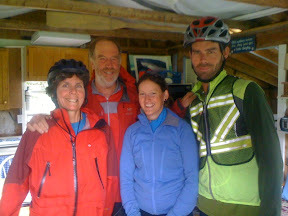 At Point Pleasant Park we were greeted by Terry, George, Tamarack, Marc and Maureen. That meant a lot. Ahh friends! 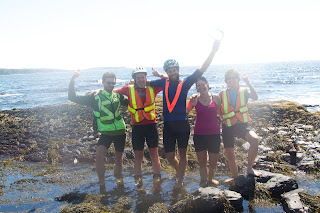 We also met up with a fellow biker friend, Dustin who we met in BC at the start of our trip and who had also just arrived in Halifax after crossing the country by bike. Nice. The bike ride to Susan and Bob's place was gorgeous. 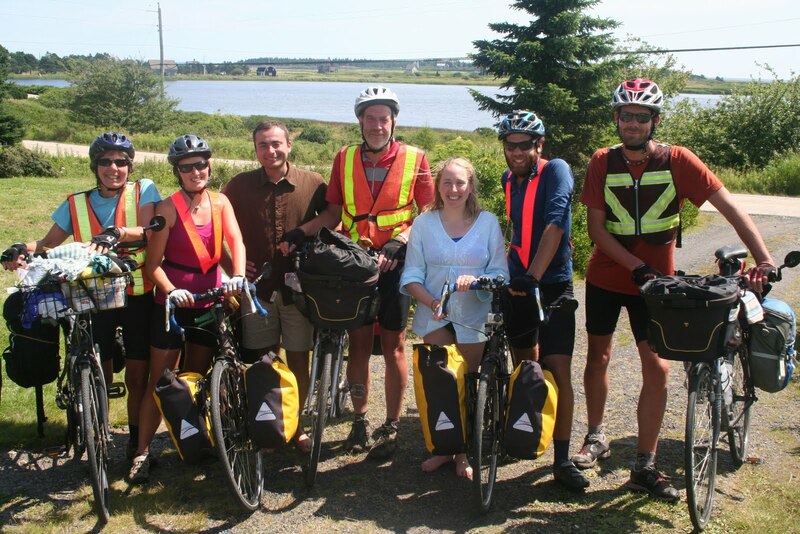 After whining about the lack of bicycle trails in Nova Scotia, we picked up the great Rails to Trails trail that starts in town, and goes very close to their house. It was beautiful and I had to eat my whining words, criticizing NS for not having bike trails. Then what a treat at Susan and Bob's. As always, the garden is amazing, and that is an understatement. The anti-pasta was largely from their garden, and featured an incredible garlic scape pesto. It only got better from there. In the long tradition of obsessing about food on this trip, that meal rivaled anything we could possible have dreamed of. And we slept so well again that night. 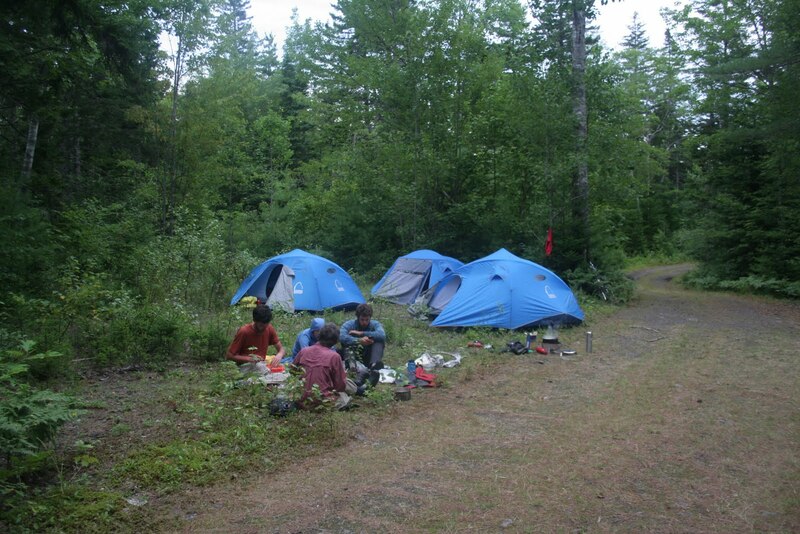 Alan and Ginny opted to sleep in their tent, so they could continue to savour the deep sleep that comes with sleeping outside after a day with exercise and fresh air. The only disappointment that day was the realization that we are not really superhuman after all. We failed to ride up Susan and Bob's driveway, an also failed to ride up their neighbours driveway - way steeper than the Quebec City steep hill! But we never thought we were superhuman - just an incredibly lucky family sharing the trip of a lifetime on a bicycle ride across Canada. Ahhh friends. We love you all, and are so moved by the opportunity to see you all at the end of this amazing adventure. Thank you all for everything. We woke up to a foggy Nova Scotia shore morning in our cozy island cabin. A quick breakfast, goodbye to our hosts and we were off on a short ride to Porters Lake to visit Steve, Sarah-Marie and Reubin. In many ways this was the first day of the end of our journey, for our journey and theirs has been connected through the blog and some common realities over the past three months. 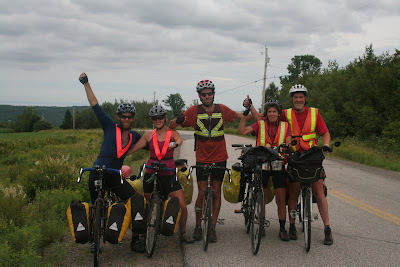 It was amazing to have Sarah-Marie and Reubin waiting to welcome us out on the road and soon we got to see Steve as well. They have been on very, very different journeys, living and struggling with Steve's cancer and building an amazing row boat, a "Cosine Wherry" made of cedar strips. There was a bet as to whether we would complete the trip or they would complete the boat first and it seems we have won, but just by a week. Steve argues though that it could float at present, though it still needs seats and oarlocks. 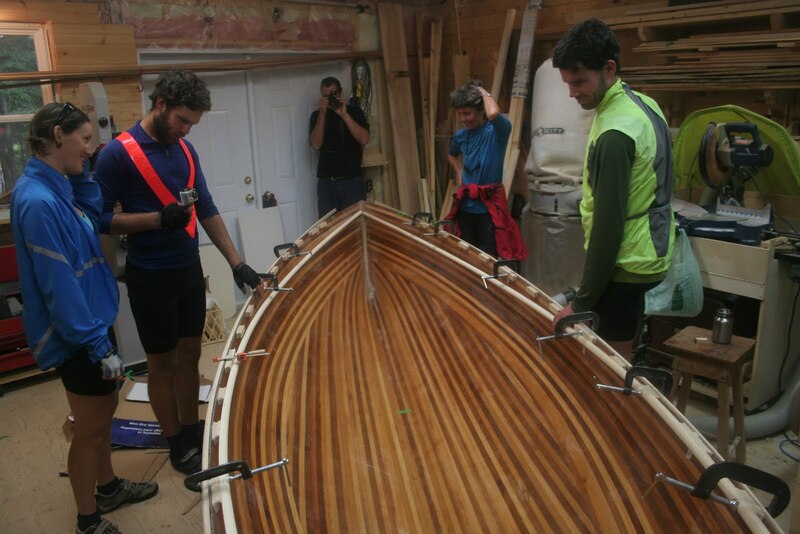 A cedar strip rowboat is fascinating, extremely light and stunning when varnished and shining with the multcoloured strips. The name is drawn from its mathematical design which maximizes its efficiency in moving through the water under row power. Steve's reality, and Sarah Marie who shares it with him, is very present oriented. When beset by illness, one cannot plan for the future, rather it is a day at a time with attention to eating, sleeping and being. They work on the boat when they can, Sarah Marie doing most of it of late, and they try to stay in the moment outside of other realities. In that sense it is very much like us on the bikes. We start each day with a hope of where we would like to get to by the evening but wind, rain, bike issues or things we stumble into can quickly change that agenda. we get to where we get and never think more than a few days out. By now we are relatively unaware of the outside world beyond our immediate experience (unlike us, Steve is tuned into the social and political realities of world events). 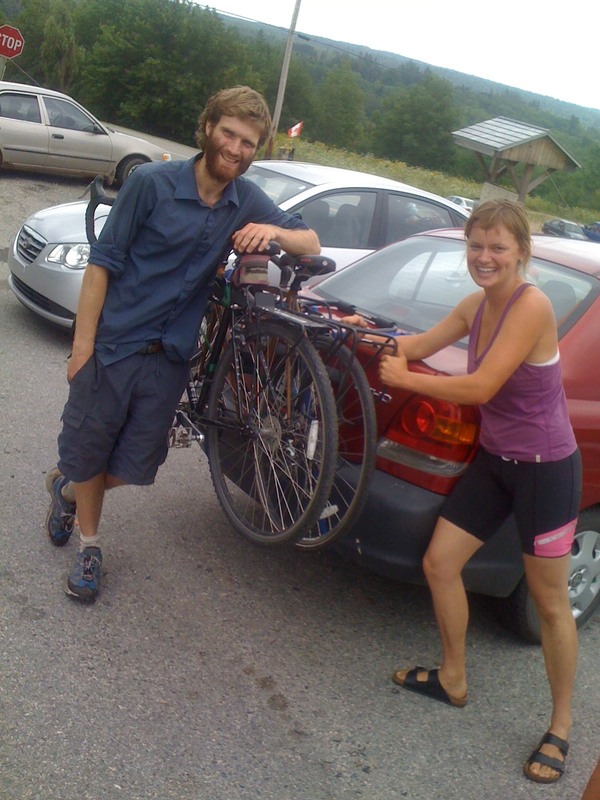 Our bike conversation focus on things along the road, our next treat or meal or the weather. The last couple of days have started to be challenging with the realities of having to think about what happens after the trip, topics we have tried to avoid, and now it is getting more difficult. Folks are e mailing us saying when can we get together, and the first reaction is "I don't know, we can't know where we will be— quite different relative to our normal working lives. It has been wonderful to talk and share our respective journeys over the past three months with Steve, Sarah Marie and Reubin. Now we must struggle with transitions as we move forward. ... Uphill... Downhill... Uphill... Downhill... Up... Down... Up... Down... Up... Down... Up... Down... (if you are tire of reading the up/down game, imagine playing. We set the one day record for number of gears used while traversing the province on small beautiful roads that we had never been on, and we have been on most roads in Nova Scotia. It was scenic steep and short hills through forests and farms. Wittenburg was at the centre of the area and if my memory serve me right, the original Wittenburg is a town in the hills or mountains of Germany or Austria. 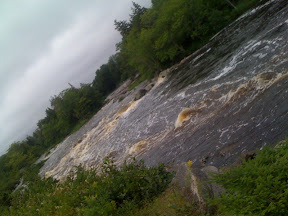 we expected smoother going as we headed down the Musquodoboit River Valley. No such luck... There's nothing like a hilly river valley. In fact, we are in shape and hills are not a big deal at this point, especially when the country side is pretty. 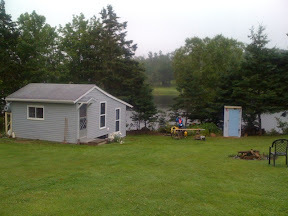 We arrived in Musquodoboit Harbour where we were going to camp on the grass outside a friends' house on a beautiful island in the Harbour. In another one of those fortuitous circumstances, Don and Monica Fraser just finished a beautiful cozy cabin below the house that sleeps 5! And rain was setting in...Twist our arms... we quickly said "uncle" on the phone and took the cabin. So we wanted to bring some wine as an appreciate gift. Alas the liquor store was 5 km uphill into a ferocious storm wind. Shane and Alan answered the call for volunteers while the rest just happened to stumble into the local bakery to wait. This was a time when a bit of riding into adversity was fun, because once there, with wine and beer in our baskets, we got to ride back downhill with a big wind behind us. The highlight was when we left a perplexed man on an electric scooter in the dust. Hurrah for pedal power! and then it was time for great conversation (stories of Don and Monica's skunk trapping exploits which did not end well), wine, beer, tasty snacks, and a hearty dinner (it's a tough life- but there were a lot of hills today!). Thank you Don and Monica.